The Mississippi Center for Food Safety and Post-Harvest Technology (FSI) fosters collaboration with scientists in the USDA Agricultural Research Service (USDA-ARS) to enhance food safety and quality through innovative research projects. 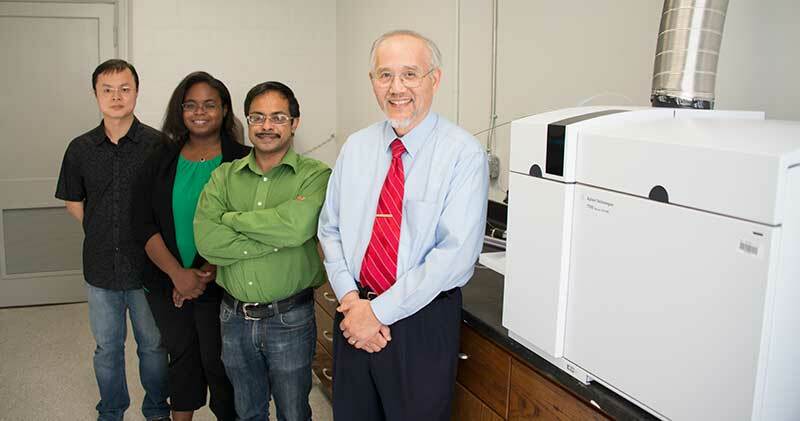 Hosted in the Department of Food Science, Nutrition and Health Promotion, the Center is a campus-wide research program to enhance food safety and quality of Mississippi agricultural products. The scope of research for 2012-2017 is an emphasis on catfish, seafood and horticultural products. The program is financially sponsored by USDA-ARS through the Warm Water Aquaculture Research Unit. The Center provides seed grants to help MSU researchers develop research capacity to compete for national competitive grants. Each year a ‘Request-for-Proposal’ is announced through the campus e-mail system. Proposals are peer-reviewed and innovative projects are selected for funding. In the last three years, 30 projects have been funded in the amount of $50,000 each to faculty in four colleges, namely, the College of Agricultural and Life Sciences, College of Veterinary Medicine, College of Arts and Sciences, and College of Forest Resources. Collaboration with USDA-ARS researchers in the region is encouraged. Scientists are also encouraged to establish partnerships with agricultural and food industries in the state and region. For building research infrastructure, the Center houses several pieces of advanced analytical and food processing instrumentation. Equipment is operated and maintained by trained staff members. The Center provides excellent opportunities for undergraduates, graduate students and post-graduate associates to engage in innovative research projects. Please click on the reports tab to see our progress.